PHI's vision: Healthy communities where individuals reach their highest potential. 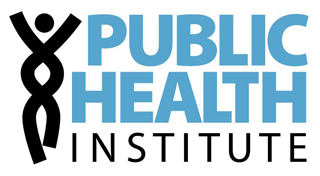 Get in touch with the Public Health Institute (CA). This presentation highlights the successes of the Louisiana Public Health Institute and the Public Health Institute in their implementation and sustainability of the Community Tool for Health & Resilience In Vulnerable Environments via funding awarded to NNPHI through a Cooperative Agreement with the Office of Minority Health. Learn how the Public Health Institute (CA) partnered with United Way of Merced to implement a THRIVE (Tool for Health and Resilience in Vulnerable Environments) training to empower youth to improve community safety in the San Joaquin Valley. Explore how tax exempt hospitals define community, engage stakeholders, set priorities, and define the content of implementation strategies as part of Community Health Needs Assessments and Implementation Strategies. Learn about key elements of HiAP and Public Health Institute’s (CA) work in facilitating California’s Task Force as one example of successful public-private partnerships between a public health institute and government. Sue Pechilio Polis (Trust for America’s Health), Kevin Barnett (Public Health Institute – CA), & Jim Hester (Population Health Systems) share strategies for financing public health through Medicaid reimbursement and a new database of funding sources. Explore strategies to finance prevention and public health through Medicaid reimbursement as well as a new database of public and private funding sources for community prevention. Review Kevin Barnett’s (Senior Investigator, Public Health Institute – CA) overview from the CDC Public Forum “Best Practices for Community Health Needs Assessment (CHNA) and Implementation Strategy Development” meeting. The Struggle: What does advancing health equity look like?